There are 2 types of people that walk out of a job interview – the ones who are confident that they nailed the interview, and the ones who fear how they bombed it. But it’s all guesswork up until the day they get the final call, right? How can you know in any way what is going through the minds of the interviewers? But you don’t have to worry any more as we’re going to share some major secrets with you that will tell you for sure whether or not you got the job. Believe it or not, there are obvious tell-tale signs that immediately give away your status with the hiring manager. And without further ado, here they are. Career experts state that if you keep an eye for these tell-tale signs, you can very quickly understand whether you nailed or bombed an interview. Now this may seem like an obvious choice and you may have already rolled your eyes, but hear us out. There are certain signs you got the job, which immediately tell you the hiring managers are interested in you – constant eye contact, smiling, talking to other managers sitting beside them. Are they leaning forward when talking to you? Good, because that’s a positive sign. On the other hand, a disinterested expression, hands folded in front of them and leaning back when talking to you are all signs that the interview didn’t go as you had expected it to. So now you’re done talking about yourself and it’s your turn to ask the questions. And to your amazement, the interviewer simply cannot stop chatting. What does that mean? Relax. It’s a good sign and their interest or excitement while talking to you means that they’ve mentally already accepted you as a candidate for their company. Besides, if an employer is taking the time to answer your questions in full, then you should get the positive signs because at least it proves that the interviewer wants to invest some time in you. Generally, in an interview, it’s the person applying to the job to tell the hiring manager why he or she is a perfect fit for the company. But what if we tell you that sometimes the tables can be turned? That it is actually the interviewer who is trying to sell the company to you by telling you how good it is, its excellent work environment, its health plan details, work hours and the like? If this happens, be happy in knowing that this attempt to sell you the company stems from the fact that the hiring manager views you as a valuable addition to their team! This is one of the best signs you got the job. Yes, interviews are meant to be professional, but that does not mean personal questions cannot be asked. 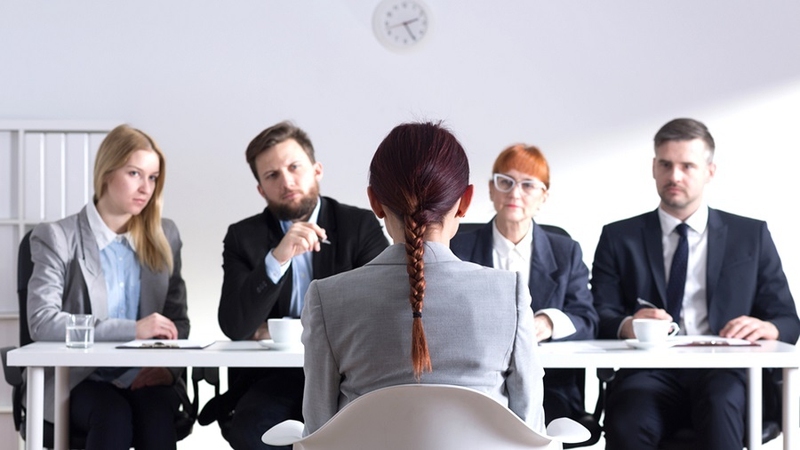 And here’s the thing – if interviewers have a lot of people lined up to interview, they are not going to ask a single question that is unimportant (otherwise they would be wasting a lot of time). So when they’re investing their time and energy questioning you about your family, personal goals and hobbies, it means that they like you and want to get to know you as a person and a potential colleague. This is in continuation of the previous signs you got the job. If your interview was for 15 minutes but extended onto 30, don’t worry. What you may view as “being grilled” by the manager might, in fact, turn out to be exactly the opposite – they wanted to get to know you more before hiring you as an employee for their company. Sometimes, when the interview cannot be continued at the office premises due to time restrictions, you might be called over a cup of coffee. The employer clearly wants to continue getting to know you more, which means you have already passed their initial checklist of what an employee should be like. And that’s a good thing! The fact is that it doesn’t take more than a couple of minutes for a hiring manger to decide whether or not they want to hire you. And if they’re getting into specifics like what your expectations are regarding the salary, congratulations! It’s one of those positive signs you got the job! If you’ve already given them a number, then sometimes they may start negotiating the price. Don’t worry – the company clearly wants to invest in you and wants to decide what you’re worth. Don’t be intimidated and quote a price lower than what you had in mind. They like you, and that’s pretty clear. So why not quote them a figure that you think you’re worth? He uses your name during the process frequently. He wants to show you around their working areas. He gives you a clear deadline when the notice will be given. He shakes your hand when you are leaving after the interview or he says things like "see you soon". He tells you about the training process and transition steps for new employees. He says the company has checked your background and references. He says you've passed the initial interview and are invited to the second round interview. He asks you how you can fit in their company culture. The more details are involved, the better. He asks you unexpected or really tough questions because he wants to get insight into your problem-solving abilities and your logical thinking patterns. Server responsed at: 04/24/2019 9:53 p.m.